New Zealand struggling to cope with epic amounts of snow. It’s hard to imagine the situation if you’re currently in the Northern hemisphere, being baked by the summer heat as I am, but on the other side of the world? Our summer is their winter, and vice-versa. So while we’re sweating and burning and cursing the cruelty of Helios as we drag our kiddie-pools indoors, New Zealand is dealing with a “once-in-a-lifetime” snow storm that’s shut down the entire country and buried the South Island beneath a blanket of ice and snow. While the South Island is absorbing the brunt of the Antarctic pressure system, the North Island of New Zealand isn’t escaping from nature’s wrath, either. 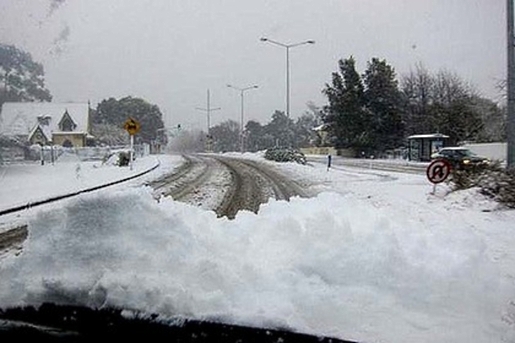 Wellington, the nation’s capital, has received its worst snowfall in 40 years; Wanganui, another North Island City, has seen snow for the first time since 1974. Meanwhile, on the South Island, main roads are impassible, airports are closed in several major cities, and even two of New Zealand’s highways have been closed by inclement weather. The weather down there is frightful, and I hope all the good folks of New Zealand are staying nice and warm tonight. Hopefully, the French Toast Alert got out to the Kiwis in time, otherwise I don’t know what they’ll do without a three-week supply of bread, milk, and eggs!